Shelter Diversion is a strategy that prevents homelessness at the front door of the homelessness response system by helping people identify immediate alternative housing arrangements and, if necessary, connecting them with services and financial assistance to help them return to permanent housing. Every effort should be made to divert clients to other housing solutions at their first contact with the homelessness response system. Diversion programs can reduce the number of families becoming homeless, the demand for shelter beds, and the size of program wait lists. The U.S. Interagency Council on Homelessness and the National Alliance to End Homelessness encourage communities to include shelter diversion as an important part of Coordinated Access efforts, particularly for families. Shelter Diversion can include: financial assistance to maintain current housing; conflict resolution and mediation to return to housing; or assistance to locate and secure new housing through financial assistance and advocacy. Click here for the approved definition of “shelter diversion” for Connecticut. CCEH hosts a variety of trainings on shelter diversion throughout the year. Visit our event calendar to sign-up for an upcoming training. To request a diversion training to be held with your agency or in your region, please email our training staff. For those that have attended a diversion training in the past, click here for more information and resources. For those trained in leading shelter diversion trainings, click here for presentation resources. Interested in recent news and information on how your community is performing in utilizing shelter Diversion strategies? View the Diversion Report! Diversion is an important tool in preventing youth and young adults from entering a cycle of homelessness. Youth under 24 face multiple additional barriers and circumstances that can make them more vulnerable while homeless. They may also require different strategies to divert from homelessness. 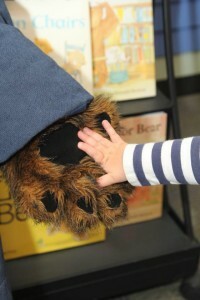 Check out more resources for youth and young adults and read about the legal rights and resources on www.youth-help.org. Regional diversion specialists participated in a Train-the-Trainer for Shelter Diversion and were trained to assist in teaching diversion techniques in their regions of Connecticut. To contact the regional specialist for your region, please email training@cceh.org. This resource focuses on the role of management, executive directors, boards, and funders in making shelter diversion part of their organization’s role in preventing and ending homelessness. Step by step guide to the CAN assessment with tips and reminders on key diversion techniques. This guide from the National Alliance to End Homelessness covers best practices for establishing and administrating an effective diversion program for homeless families and gives a closer look to what diversion can look like for clients. This is a sample template created by the National Alliance to End Homelessness to help clients and support workers create a clear view of their resources in terms of community assistance and resources, friends, families, and their own abilities. This is a guide through using Diversion in each and every CAN appointment, from how to introduce yourself and actively listen, to moving forward with your client. 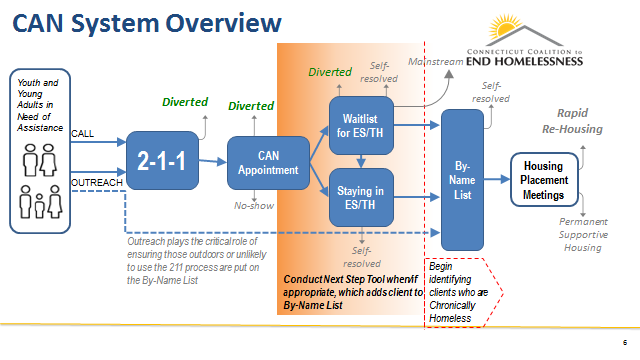 This presentation by Katharine Gale at the 2015 National Conference on Ending Homelessness gives an overview on the practice of shelter diversion. OrgCode Consulting published this guide to the characteristics of an exemplary diversion specialist to highlight the best practices in staffing any diversion program to improve results. In 2014, the Connecticut Coalition to End Homelessness launched be homeful, a bold and innovative project designed to help Americans stamp out family homelessness for good. We understand that the most effective way to end homelessness is to never let it begin in the first place. For information on be homeful and how you can be involved, click here.